Oil-Electric: An RS-11M --- I think ... ! Canadian National Railways 3616, Truro, Nova Scotia, 1957. Now I have never been to Nova Scotia, but I did develop a network of pen pals with whom I was trading photographs, negatives and slides. At any rate, I had traded this negative with someone who is lost to history. So the envelope has all of the builder’s data, but when I went to confirm it prior to publication on the blog, I ran into a discrepancy as to what model this Montreal Locomotive Works engine is. 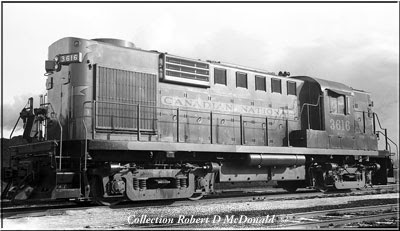 When I got to looking at this unit, I realized that many rail fans do not know, or remember, that with outfits like ALCo, most Canadian orders were filled at Montreal Locomotive Works, under license. This to avoid, unabashedly, paying import taxes on complete locomotives, and coincidentally creating jobs in Canada. And so, this unit is sometimes incorrectly referred to as a DL-701. Such is the case with this negative. 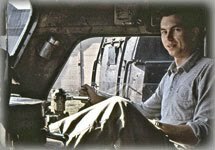 For many of us, Jerry Pinkepank’s “Diesel Spotter’s Guide” have been the bible, since the first edition was published back in 1967, and sold for a modest $3.50! In it, Mr. Pinkepank describes this unit as being "an RS-18, the Canadian Version of the DL-701." 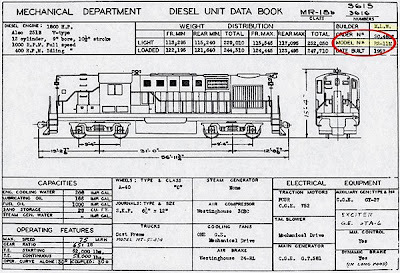 However, on the previous page, he describes the MLW RS-18, as being Spec Number DL-718. Now I need a third source, as the first two are not consistent. So I dug deeper into my box of goodies and found this document from the Canadian National Railways Mechanical Department. This unit is clearly described as a MLW Model RS-11M. So I feel confident that this is an RS-11M. Issue closed! 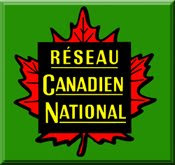 Railroad Stuff: Canadian National Railways 3616, built by Montreal Locomotive Works as an RS-11M, August 1956, serial number 81572, road class MR-18b, 1,800 hp. Retired in 1989. That thing had a long career, no matter what model it was! Thanks for the "three times a charm" layout. If memory serves reading something on the Internet (web address long forgotten) the MR18 (MLW) was based on the RS11 manufactured by Alco. To add to the story, any model in the 3100 series had steam lines so as to run as passenger units they didn't have Steam Generators so were placed at the end of the Passenger Locomotive Consist. In fact some of the MR18 locomotives powering Trains 18 and 19 between Sydney and Truro would have originated in Montreal on the Ocean Eastbound to Truro or added to the Scotian Westbound from Truro.